After finishing the Master of Engineering Management Program (MEMP) at Duke in 2009, Fulbright Scholar Ali Habib headed home to Karachi with aspirations of finding a way to bridge his technical expertise with his desire to give back to the people of Pakistan. In the years following his return to Pakistan he has been able to do exactly that. 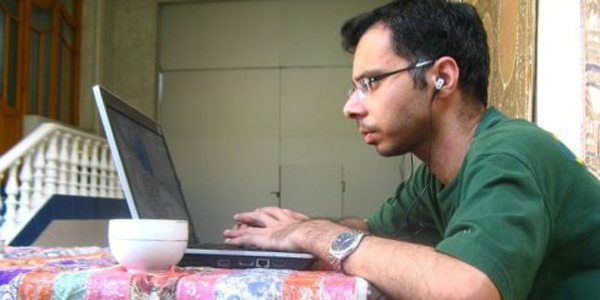 As the Director of Informatics at Interactive Research and Development (IRD, irdresearch.org), a non-profit public health research and service delivery group, Ali has found ways to use cellular phone technology – a significantly more stable technology in Pakistan and the developing world than internet – to create efficient ways for health researchers to collect data and manage patient care. By using the cellular phone technology that Ali’s group has developed, researchers are able to collect health data in the field more easily and with greater accuracy than they could with paper forms. The elimination of human error and inconsistencies as well as paper documents allows for more efficient data transfer. Researchers are getting faster, more accurate information and can enforce validation in a way that they could not with paper forms. Cellular technology has also proven particularly helpful with patient screening and treatment tracking for diseases like Tuberculosis (TB). Many patients that are diagnosed with TB require somewhere between six and eighteen months of treatment. The treatments often involve several separate healthcare providers given that many of those infected are moving around and do not have a consistent healthcare provider. Ali’s company has created a way to centralize patient files via cellular phone so that a network of healthcare providers can clearly understand a patient’s treatment history. Thanks in large part to Ali and his IT team, Interactive Research and Development has been incredibly successful in leveraging cellular phone technology not only in Pakistan, but in other parts of the developing world as well. They try to use open source software and technology whenever possible to ensure that developing countries can access and use their research and records tools. According to Ali the thinking behind that effort is that, “if they can’t pay for medicine, they obviously can’t pay for software licenses.” These global efforts have been widely recognized and have earned Interactive Research and Development significant funding from organizations like the Stop TB Partnership, but they want to be able to fund even more advancements and access for these tools. Under Ali’s lead, the IT sector has recently spun off into a for profit company, Interactive Health Solutions, in order to help fund even more research in the non-profit sector. Ali has transitioned from Director of Informatics to CEO and hopes to continue using cellular technology to improve health outcomes in the developing world. Ali considers himself to be very fortunate to have found such a happy balance between technology and human interest, “I never thought I would be writing code to improve health. I have been very lucky.” And we consider ourselves very lucky to be able to call this remarkable innovator a Duke MEMP alumnus.